No one was hurt when a family lost its home to a second alarm fire late Wednesday morning in Greenville. 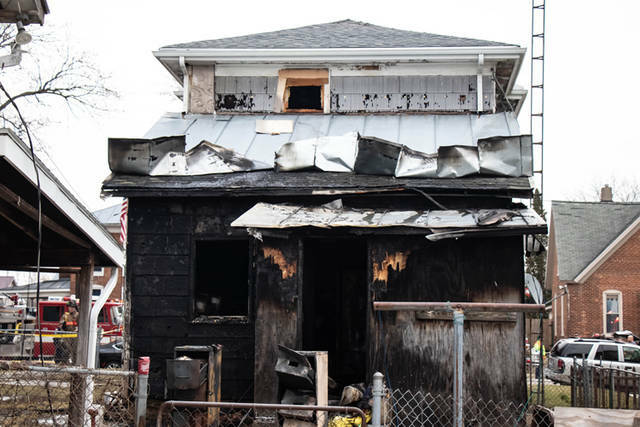 GREENVILLE – A family was left homeless when their home of more than 35 years was lost to a second alarm fire late Wednesday morning. 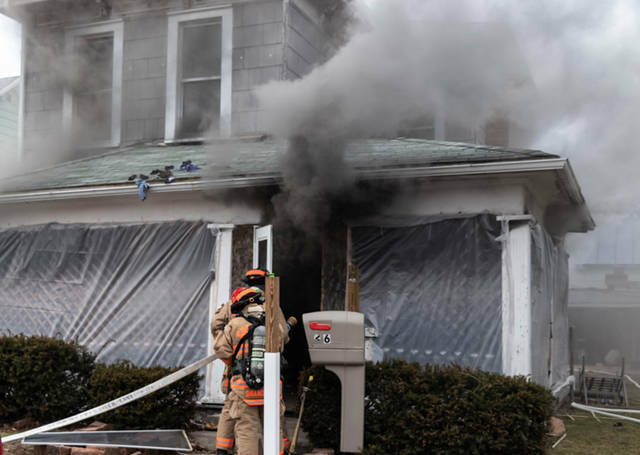 At approximately 10:40 a.m., emergency personnel from Greenville City Fire Department along with Greenville Township Rescue and officers from the Greenville Police Department were dispatched to 216 Anderson Ave. in regards to a working structure fire. 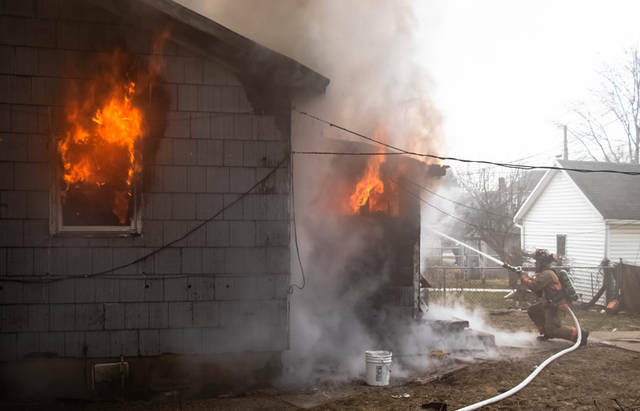 Arriving crews reported seeing heavy smoke and flames coming from the structure and requested a second alarm, bringing in mutual aid units from Greenville Township and New Madison fire departments and a special request for an air unit from Arcanum Fire Department. According to Greenville City Fire Chief Russ Thompson, crews worked to quickly knock down the fire and bring it under control before it was able spread and fully consume the home. 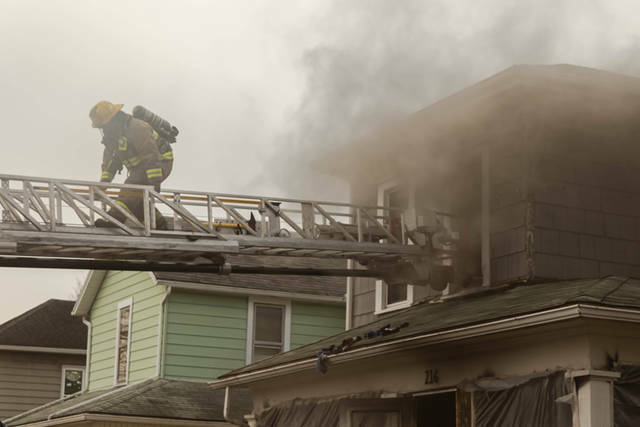 Chief Thompson went on to add that he thinks, due to a preliminary investigation into the cause, that the fire broke out in the bottom rear of the structure then spread to the kitchen area and upwards to the second floor of the residence. It is thought to be electrical in nature. Owner and resident of the property, Garry Flatter, said he was relieved that everyone was able to get out safely and that no one was hurt. All of the family pets also were able to be safely evacuated. The Northern Miami Valley Ohio Chapter of the American Red Cross was called to the scene to assist the family. 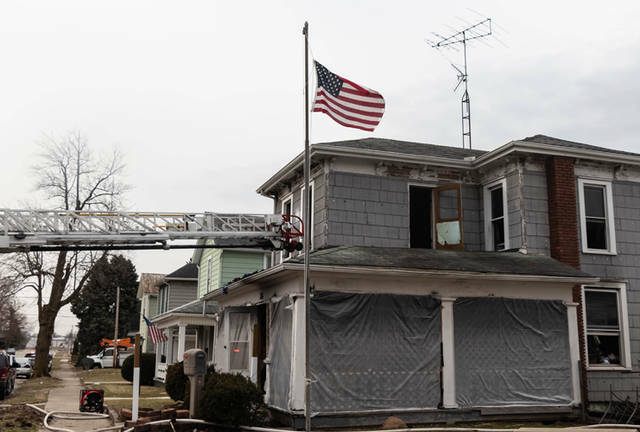 This entry was tagged American Red Cross, Arcanum Fire Department, fire, Greenville, Greenville City Fire Department, Greenville Fire Department, Greenville Police Department, Greenville Township Fire Department, Greenville Township Rescue, New Madison Fire Department. Bookmark the permalink.